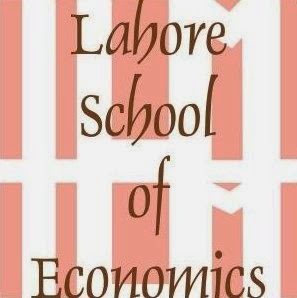 Lahore School organised a seminar on Marketing Research for students of MBA II (Marketing) at Mehmud Chaudhry Library on October 4, 2013. The guest speakers included Ms. Quratulain Ibrahim, CEO, TNS- Aftab Associates, Ms. Maira Hameed, Manager Marketing Research, Nestle and Mr. H. Aftab Ahmad, Chairman, TNS- Aftab Associates. Ms. Quratulain Ibrahim started her talk with a brief introduction of TNS- Aftab Associates. She briefed the students on the company’s nature of business, different types of research, which included qualitative and quantitative research and various methods of conducting this research. The speaker highlighted some major research areas giving examples on how to design a sample for the client. She emphasized on the importance of ensuring that the data provided to the client was of high quality and hundred percent accurate. Pre-testing, field training and mock interviews were some of the techniques used. Post field data checks were conducted to guarantee data quality. “Dealing with people and getting information was the biggest challenge they had to face while doing business in Pakistan,” she said. Ms. Ibrahim also showed a video clip depicting Pakistani women in different areas of our country with reference to their culture, social and economic conditions and geographic terrains to the audience. Ms. Maira Hameed gave a brief introduction of Nestle and explained how the company uses research in order to meet the requirements of its customers. She emphasized on the need of understanding a product thoroughly before presenting it to the potential customer. She then threw light on how companies used product oriented approach and business oriented approach to build a product or brand in the minds of the target market and come up to the expectations of the customer. Ms. Hameed discussed the market dynamics and different phases by means of market research. The four different phases include strategy, exploration, execution and assessment. Mr. Hafiz Aftab Ahmad, Chairman, TNS-Aftab Associates was the key note speaker of the day. He informed the audience that the total size of market research globally at present is $35 Billion whereas, in Pakistan it is merely $15.18 million. The presentations were followed by question and answer session. The students showed keen interest by asking interesting questions from the guests - Sadaf Asad Malik.